Synopsis (from the Author): "What happens when you die?" The words burst out of young Matthew's mouth louder than he intended. This is the start of Matthew Peterson's journey. Like all of us he wanted to know the unknowable. Like many of us, he lets life's ride consume him, helping him ignore the truth that someday it will end. Matthew dies and starts his journey to life as he sojourns to heaven. In heaven nature comes alive to welcome him home. The knots of life unwind as he becomes close friends with a carpenter who helps him on his voyage to understand, to know, and be known. Rick Mapson is 56 year old Programmer Analyst, father of four. "Seeing Clearly" is Rick's first novel. He has always been a story teller creating stories for his children and their friends. Over ten years ago Matthew pushed his way into Rick's thoughts and so started "Seeing Clearly". No one can fully demonstrate what Heaven is like but Matthew's story will help you get a glimpse of our Creator and his creation without the distortion of this fallen world. 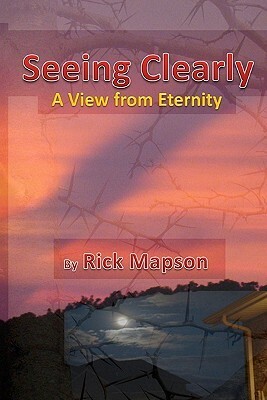 If you enjoyed The Shack by William Paul Young, then you'll definitely enjoy the likes of Seeing Clearly by Rick Mapson. 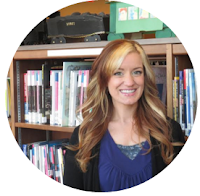 I was lucky enough to stumble upon this aspiring storyteller when our paths crossed in my salon. Shortly, we both discovered that we shared a common love of the written word. Mr. Mapson inquired that he had written a book that he hopes will leave a lasting print on the world, and I believe he has. Now, don't let the 4 stars throw you off. I'll get to that! This is a moving tale of a man who is drowning in the messiness of life, and turns to find himself (quite literally) staring into the face of God. Matthew Peterson is just an ordinary guy whose life plans are suddenly taken for a tailspin after discovering his girlfriend, Jane, is pregnant. Time passes and Jane, his now wife, has discovered a relationship with God that fulfills the empty void left by their loveless marriage. Matthew isn't entirely sold on the idea of a "crutch" to get him through life, especially when, in his opinion, he wouldn't deserve such a "saving grace" anyway. One day after work at the doctor's office, Matthew is stabbed in a parking garage and left for dead. As he lies there, he recalls all the things his wife and son had been speaking into him about life and death. It is in his last moments that Matthew chooses to accept Christ. Thus begins a journey with Matthew that will leave the reader with understanding and hope. Throughout the book we are given a beautiful illustration of the relationship between God the father and son, and the unconditional love he has for us. Mapson opens our eyes to the idea that Heaven is "home" and not just fluffy clouds and cherubs flying around. The "carpenter" carefully crafts a place for us and removes the veil that this life is all there is. There is so much more that we are able to experience, and sadly, many of us are not made aware or even experience it. Mapson paints a picture of what Heaven could be like, how exactly the stories in the bible apply to us today, and how easy it is to receive the gift of Eternal Life. I found his work moving and beautiful, and I am so glad I got the opportunity to read it. I noticed in the beginning acknowledgments that there were a couple people that went through the book for editing. I think it's wonderful to see an independent author going the extra mile to have people look over their work...that does not always happen! However, there were still a significant amount of grammatical and punctuation errors that made the reading a bit inconsistent. Granted, this is very common with self-published authors and as long as the story itself is good, I can overlook it...for now.. :) I think with a bit more editing and proofreading, this book has a lot of potential to be a hit very much like The Shack (which BTW, did you know they just decided in April that they're going to make a movie adaptation of The Shack? :D). I really enjoyed this book! If it wasn't for the grammatical errors then I probably would've given it 5 stars, but I encourage the author to keep this work going, because he's onto something here. This is a story that will leave readers thoughtful and inspired, and I do hope that we will see it on the shelves of our bookstores one day. We are giving away 3 SIGNED copies of Seeing Clearly! Be sure to enter and share spread the word!